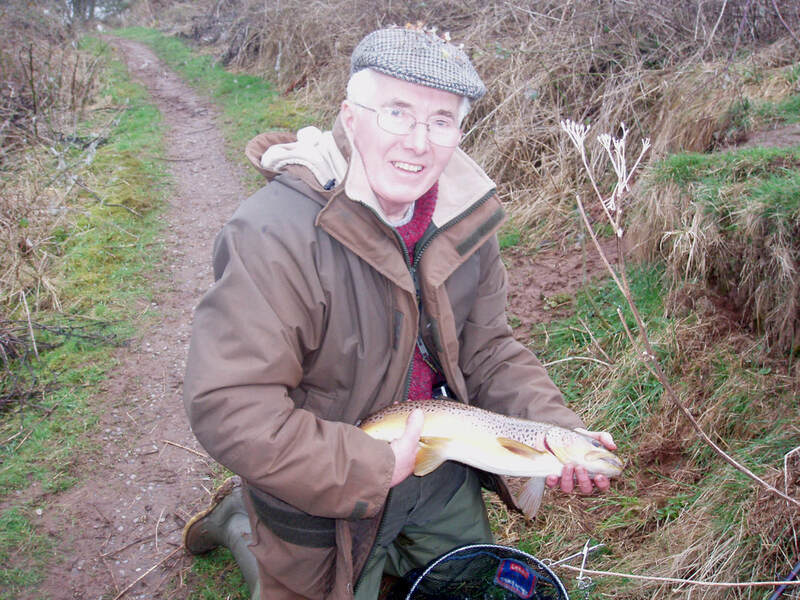 William Miller passed away on 25th January aged 82, and was interred on 8th February in a cemetery on a west facing hill overlooking the Clyde valley where he fished for most of his life for trout and grayling. Willie served on the committee of the United Clyde Angling Protective Association for over 60 years, and for over 30 years held various posts on SANA’s Non-Migratory Fish Committee. He had a wide knowledge of Protection Order legislation and its implementation, and when the Scottish Government asked SANA to oversee the Ministers Consultative Committee on Protection Orders Willie became its Chairman. He was a member of the Liaison Committees of both the Tay and the Earn POs, and also a keen member of the Grayling Society. Willie had been a science teacher and encouraged his pupils to fish, taking them on expeditions to the Clyde and its tributaries, long before the current need for criminal disclosure checks. He was an elder of his church and a perfect gentleman, widely respected by all who came to know him, and last of a line of old school NMFC volunteers such as Malcolm Steen, Jimmy McAloon, Sam Waddell, and Alastair MacKellar. He gave a great deal to SANA and to Scottish angling and will be sorely missed. The epitaph on the riverside monument at Abington to Matthew McKendrick, one of the founding fathers of UCAPA, is equally fitting to Willie. The GB non-native species secretariat has published new guidelines. It is with great sadness that we report the passing of David on the 22nd August. A stalwart of the Non-Migratory Fish Committee for many years he was a member of Avon Angling Club and was part of the River Clyde Management Trust. A full appreciation will appear in the SANA Handbook. SANA's submission can be read here. 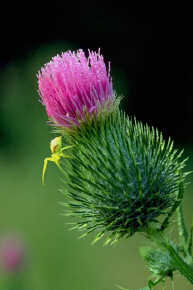 Exercise Alpheus was designed to test the response to a cross border (Scotland, England and Wales) outbreak of Gyrodactylus salaries. The update on the outcomes can be read here. The minutes of the most recent N-MFC meeting are here. Details of the proposed count and survey form can be found here. There is some interesting and useful information here about the progress of the Aquaculture and Fisheries (Scotland) Bill. Any comment should be passed to the webmaster, who will forward to the relevant SANA committee. In March of this year (see below) SANA was pleased to be able to report that South Lanarkshire’s Planning Committee had unanimously voted to refuse planning permission for a massive sand and gravel quarry adjacent to the banks of the Clyde at Lamington. However, as anticipated, Patersons have appealed, and a Reporter. Mr David Buylla MA (Hons) MRTPI has been appointed. He will conduct inquiry sessions and a hearing session in November. We have been informed that all earlier submissions will be taken into account and that Mr. Buylla feels that he already has sufficient information on all matters except “landscape and visual issues”. SANA hopes that Mr. Buylla will reach the same conclusion as South Lanarkshire Council. The SANA policy document on access to rivers by canoeists and rafters is here. Some news here on the spread of the killer shrimp to the Norfolk Broads and here is an update on the beavers in the Tay catchment area. Thanks to Alan for highlighting these issues to the webmaster. Project 6.2 is one of the Priorities for Action (PfA) listed in the Government's "A Strategic Framework for Scottish Freshwater Fisheries" published in 2008. SANA was asked by the Steering Group of the Freshwater Fisheries Forum to supervise a review of the operation of existing Protection Orders (POs), with a view to incorporating their better features in a Scotland-wide system of access and freshwater fish protection. Economic cut-backs jeopardised anticipated Government finance for professional input into this project, but the Non-Migratory Fish Committee (NMFC) of SANA produced the following limited review in April 2011 using its own resources and PO reports provided by Marine Scotland (MS). In early March 2012 SNH planning to launch an online questionnaire. This will be designed to tell Scottish Natural Heritage (SNH) what members of the public and those who deal with the organisation think of the way that wildlife is managed in Scotland. It is also designed to tell SNH what people who deal with the organisation think of the level of service provided. SNH hope to gather the views of a large number of people across a range of different organisations. Links to the survey will appear here in due course. In the meantime, here is the link to the SNH Wildlife Management Survey Feasibility Study. Cuningar Loop is situated in the Rutherglen area and as a legacy to the Commonwealth games, the site will be developed as a Healthy Lifestyle Park/open space aimed at promoting active communities. We are looking for participants to take part in focus groups to discuss opportunities and ideas that will be passed to the architect for thought during the planning process. We recognise that due to the dominance of the river clyde in this area opinions from members of the Clyde Users Groups would be highly valued. The remit of the Non Migratory Fish Committee (NMFC) is to maintain an overview of of issues and legislation that may affect non-migratory salmonids and members of SANA who fish for them; to consider problems and possible solutions and take appropriate action. Issues are wide ranging and can take up considerable time and effort. Members are welcome to make enquiries about issues or contribute views via the NMFC secretary or the SANA office. NMFC officials are all volunteers and their names are published in the SANA handbook which is normally published in February. Most are active in various angling spheres and all are keen anglers. We would welcome anyone who is interested in the committee's work and wants to help at the sharp end, particularly if he or she has pertinent knowledge or skills. Contact the secretary on 01324 623920 or at alan.ayre345@btinternet.com if you are interested in joining the committee. Meetings are held bi-monthly at Howietoun fishery near Stirling on Saturday mornings. SANA is aware of, and deplores the practice of some anglers killing fish they don't need. Such fish are often not taken home, but dumped in bins, flung behind walls, into ditches etc. It seems to occur often after competitions when fish are required to be weighed in for prize or/and place allocation. However, the bag limit culture is partly to blame too, with some everyday anglers keen to show off their "prowess" to others. Not only is the practice reprehensible from the point of view of wasting good food, but it shows a lack of respect for the fish, and presents ammunition for the anti-fishing brigade. What to do about it? SANA believes it is up to fishery managers to control the practice through their rules at individual fisheries, and for most competitions to be judged perhaps by the numbers or/and length of fish caught. Some fisheries are already mooting C&R in competitions, and this may grow for normal fishing as the recession bites and fish become more expensive to stock. That said, total C&R is not supported by SANA (unless it is for conservation purposes) as the need to kill fish for the table is a prime requisite of angling. To end dumping the principal requirements are for the traditional practice of 'chapping' every fish caught to change, for anglers to show more respect for their quarry, and to only take home what you really need. SANA sent letters to Scottish Government ministers in March 2009, April 2011 and July 2011 about the damage cormorants and sawbills are doing to freshwater fish stocks. We want the Government to take heed of and follow the lead of the English Fisheries Minister who views with some concern the worsening position south of the Border and is considering relaxing the rules on shooting. As earlier intimated on the SANA website, the Angling Trust in England has initiated a scheme which covers the whole of the UK. Scottish anglers are asked to record on a website ( www.cormorantwatch.org ) any cormorants or sawbills they see on freshwaters with a view to providing evidence of growing numbers of these birds living foraging inland. SNH recently assumed licensing responsibility from the Scottish Government for the shooting of cormorants and other piscivorous birds, and it is understood that they will be reviewing their licensing policy over the next 12 months. There will be a formal consultation for the submission of views, so SANA is keen to hear from members who have evidence of damage the birds are doing to stocks, and/or evidence of increasing numbers of birds on waters with which they are familiar.